This Wardell design butterfly measures seven inches tall and is one of five produced in my studio. The wings are constructed from pink-ice white stipple glass. The body and antenna ends are cut from green-yellow stipple glass. The legs and antennas made from twisting and bending copper wire and assembled using copper foil and lead-free silver solder. 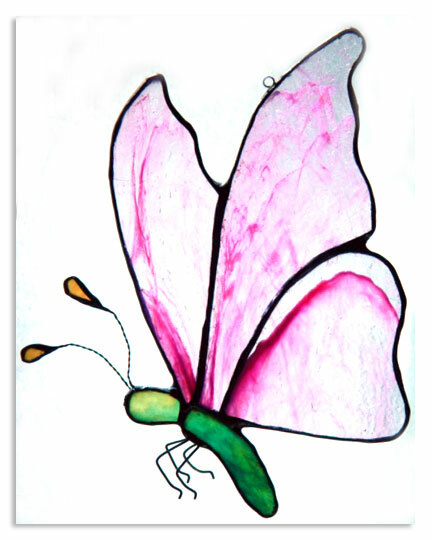 This stained glass butterfly has been aged with patina, waxed and buffed to a finished luster. This butterfly is one of five produced.